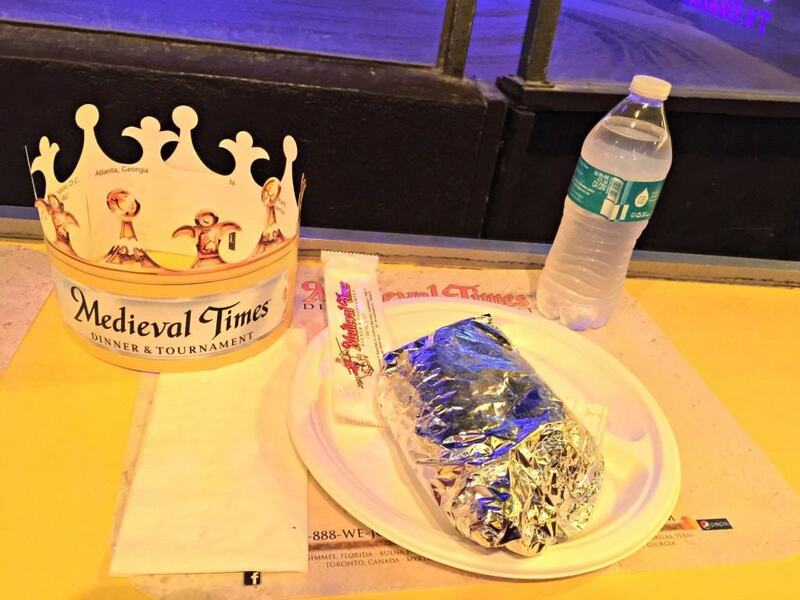 A Field Trip to Medieval Times Dinner & Tournament in Buena Park, California! 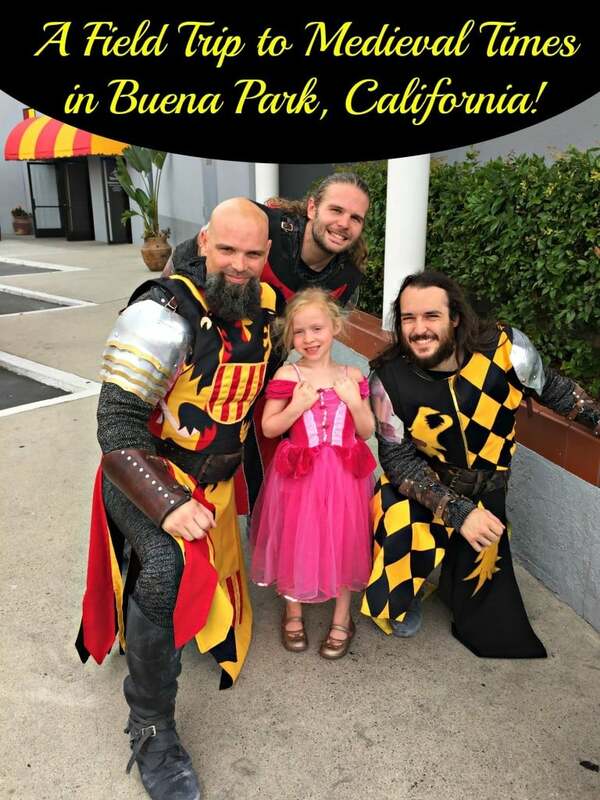 On Wednesday, my family and I were invited by Medieval Times in Buena Park, California to experience their official field trip program for school groups, homeschoolers, scouts and campers. We were excited to take a field trip back in time to the Middle Ages! 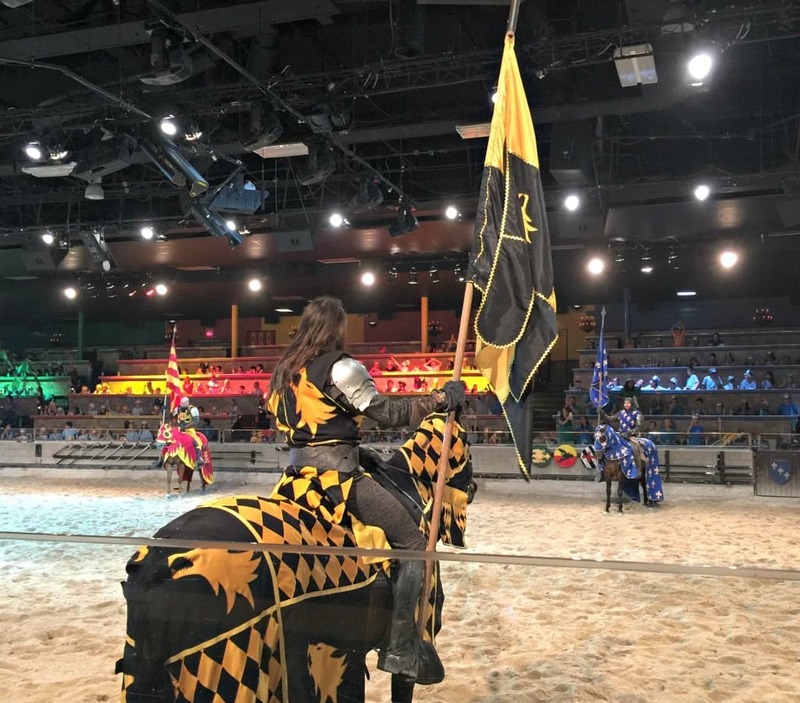 Medieval Times provides students and educators a live history lesson presented by a King and his Noble Court set within the walls of an 11th century-style castle. The medieval era, often called The Middle Ages or the Dark Ages, began around 476 A.D. following a great loss of power throughout Europe by the Roman Emperor. The Middle Ages span roughly 1,000 years, ending between 1400 and 1450. Though, in Spain, 1492 is considered the end of their medieval period and the beginning of the modern era. The period was one of human expansion, centralization and great political upheaval and violence, resulting in the foundation of many modern European countries. 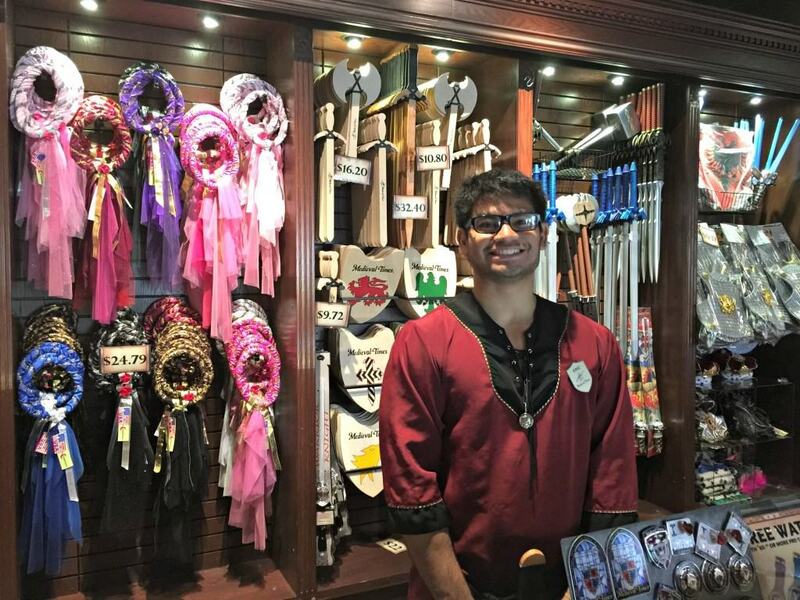 Before the show, patrons are welcome to pursue the gift shop and explore the various pieces of Medieval armor on display. 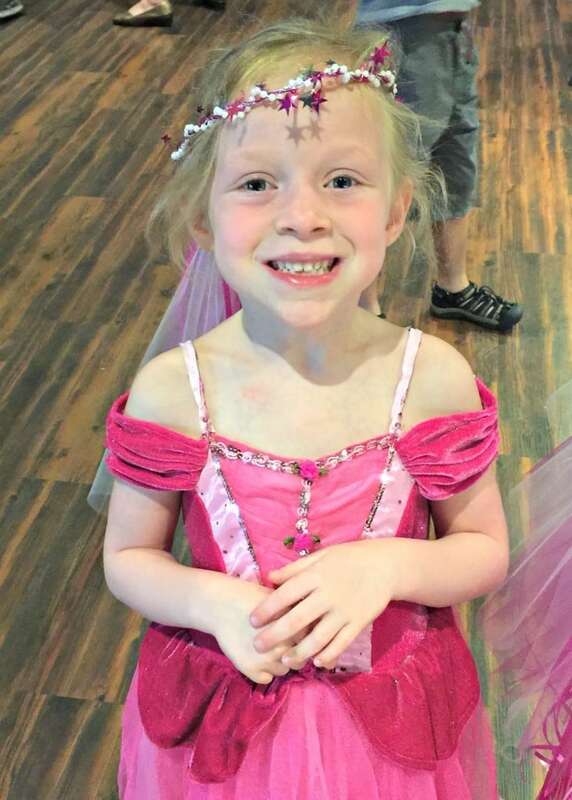 Field Trip Girl was very adamant about wearing her Middle Ages like dress on the field trip! 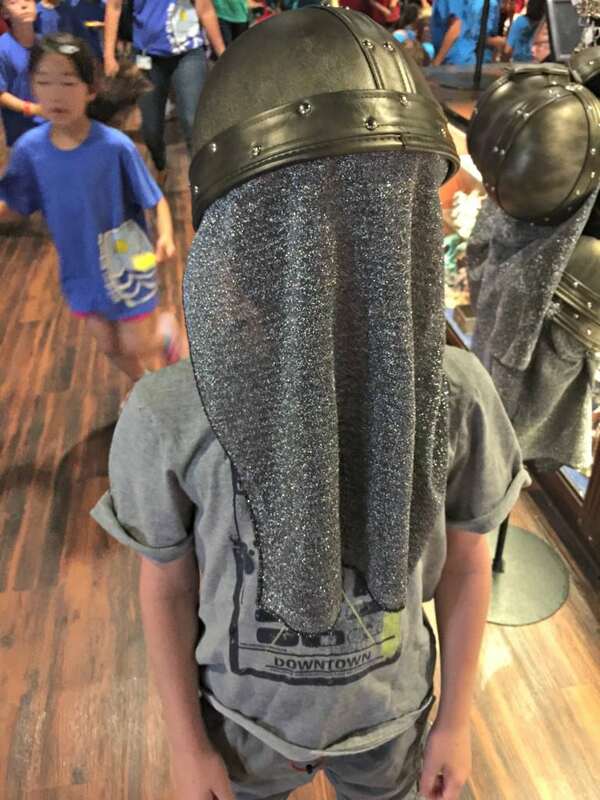 Field Trip boy tried on a Chain Mail for fun! Chain Mail is normally an expensive, but effective, body shielding that was made of thousands of interlinked rings of steel. Chain Mail was lighter than armor, allowed cooling air flow and was not necessarily tailored to the individual as suits of armor were. It was effective in stopping sidelong cutting attacks and glancing blows by bladed weapons. However, it was vulnerable to pointed objects like arrows, glaives, daggers and sword tips. Introduced in the 14th century, suits of armor were expensive. The effective body shielding was tailor-made by a metalsmith to the intended wearer. Armor originally began as metal helmets and shields. Later, steel plates to cover the chest were added. Over time, the full head-to-toe suit or armor was developed. Suits were heavy, hot and awkward to wear. 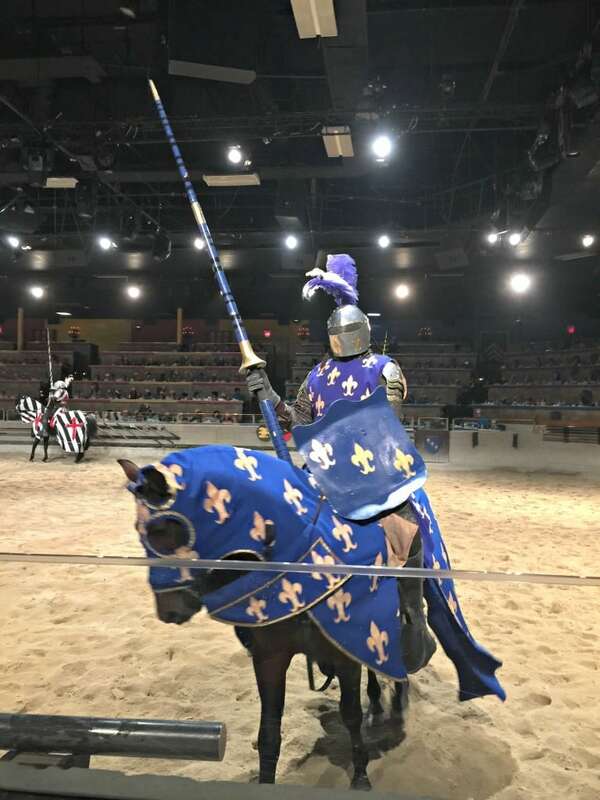 Much training had to be done on and off the horse in order to be a masterful warrior in combat while wearing a suit of armor. Horses also had to become used to the added weight. After exploring the outer workings of the castle, we were invited into the show arena by the King himself. We were honored to sit alongside other “yellow” patrons to enjoy the show. Each guest is served a full course meal that includes chicken, corn on the cob, bread, a potato, bottle of water and a cookie for dessert. No silverware is served though. Everyone is expected to eat just like the King, hands and all! As the show began and we ate our meal, the King introduced each night accordingly to their territory. Originally knights were attendants or specialized foot-soldiers, but the status of knights was elevated around 800 A.D. Kings or lords would raise a soldier to a knight by lightly striking (dubbing) the knight’s should with the flat of his sword. 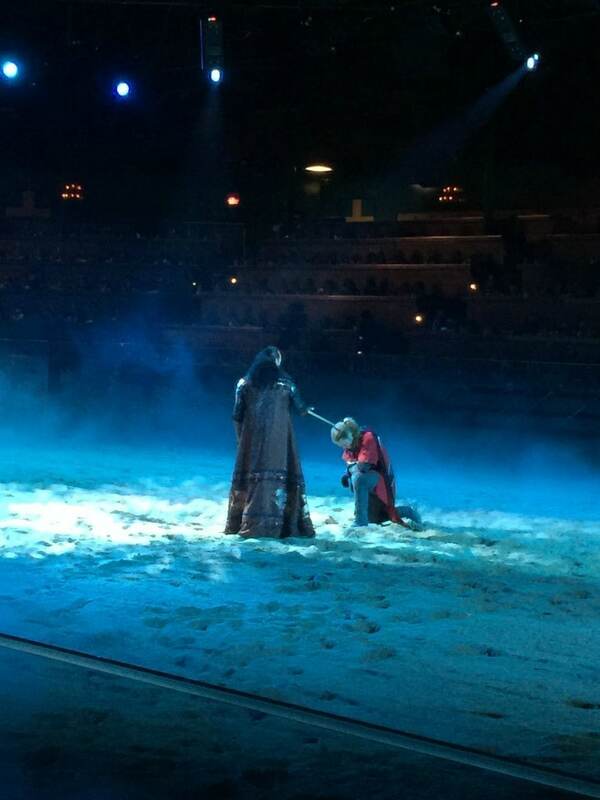 During our show, the Red Knight was striked by the Lord. He was then given a sword of his own, a pay raise and, frequently, a plot of land. Most knights were required to be at least 21 years old. 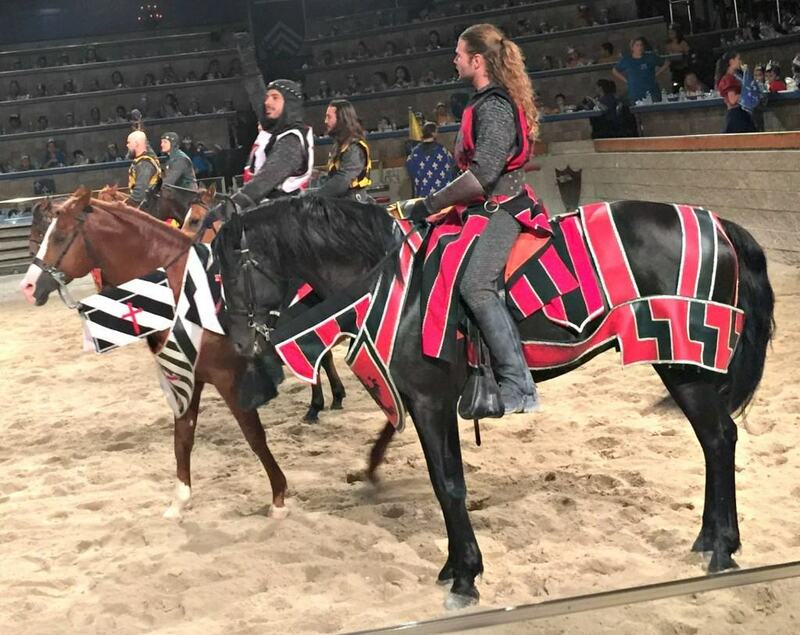 During the show, each knight had his own flag or banner that identified him on and off the battlefield, called a coat of arms. 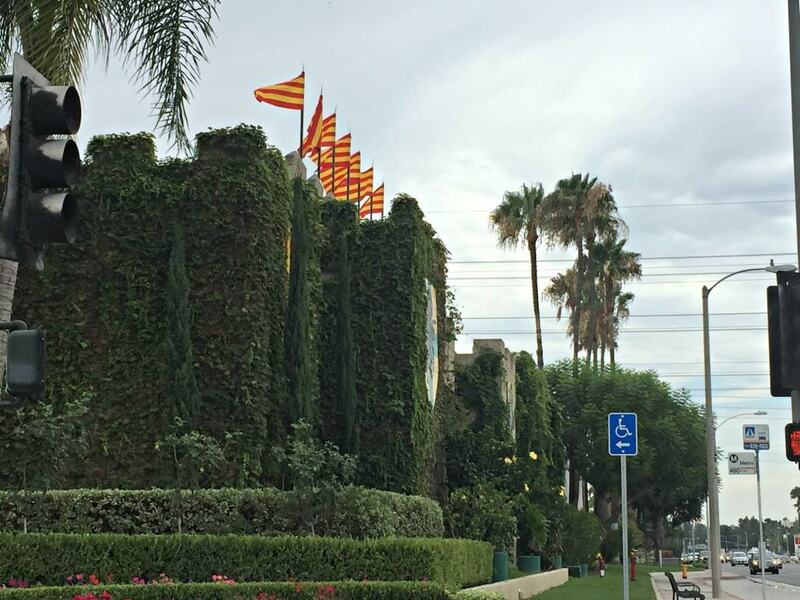 The pattern and colors on the flag were often repeated on his shield and on other items belonging to the knight. The goal of the knight was to ultimately protect the King’s castle from attacking forces. Laying siege was to attack and ultimately penetrate a castle. If it could not be penetrated, attacking forces would surround the castle and control the target until it surrendered or starved. Siege warfare was used by Europeans from the Arabs during the Crusades. Most often, battles were fought during the summer months when weather was, typically, better. During our battle, we saw the knights use various weapons to fight off the enemy including battle axes, boas, lances and swords. Medieval swords almost always had a double-edged blade to enable cutting action on the backswing. 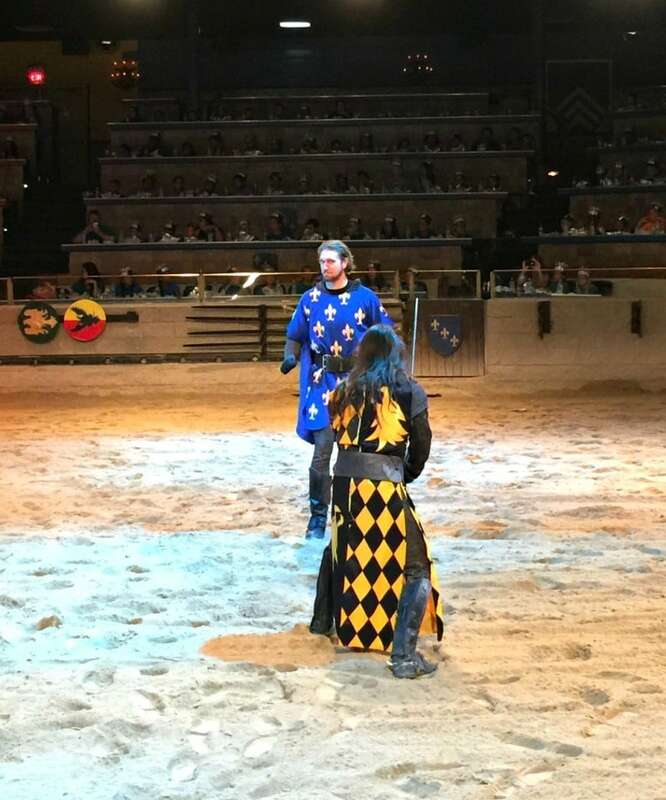 Another part of the show included the knights competing in various contests to see who was more superior than the other. Afterwards, the knights would throw flowers given to them by the Dane to the audience. 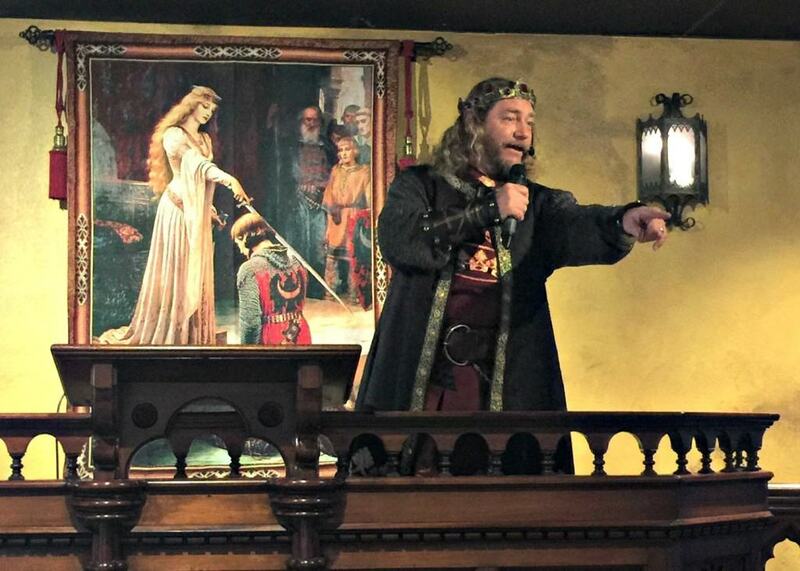 Medieval Times’ official field trip program is a wonderful educational opportunity for students. Not only will they learn about the Middle Ages, but also see a highly entertaining show appropriate for all ages. I know Field Trip Girl and Field Trip Boy enjoyed the show! 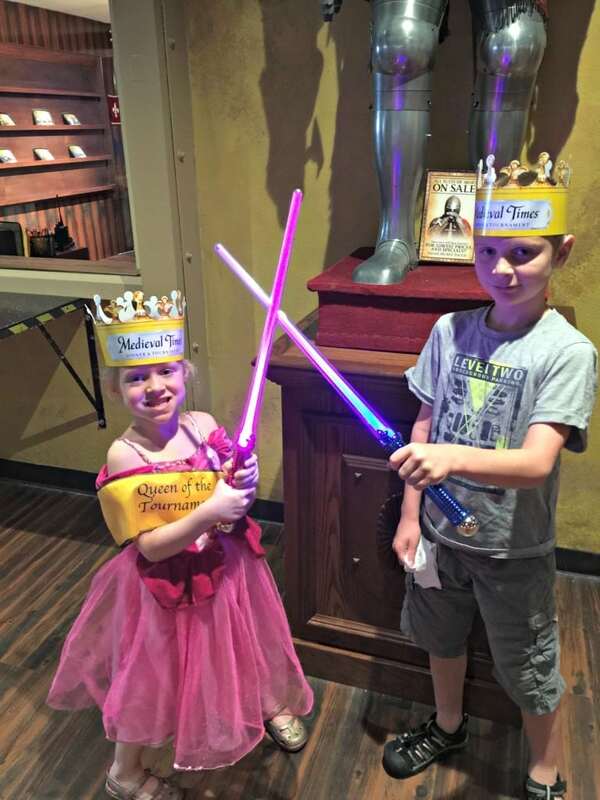 To learn more about Medieval Times educational program and download a variety of learning materials to along with your visit, please see here. 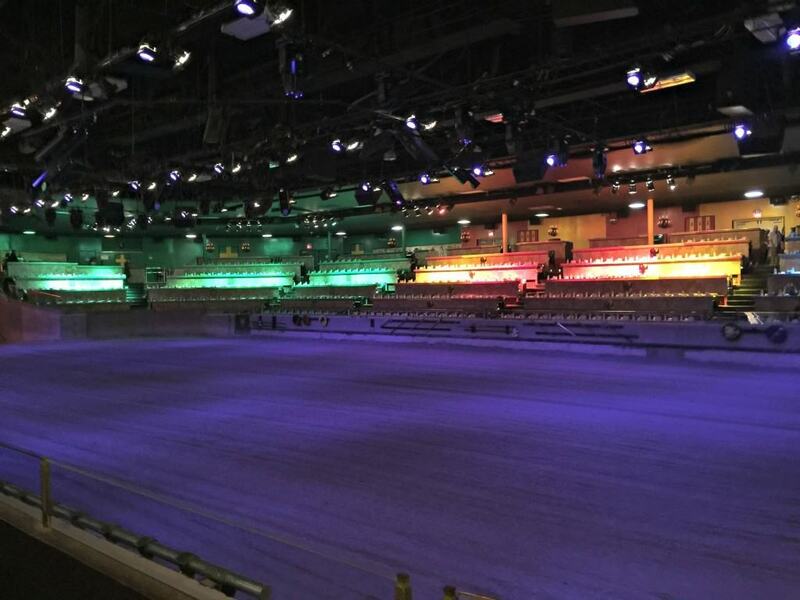 Disclosure: We were invited by Medieval Times as a member of the media to experience their educational show. All points of view are my own. This looks like so much fun! My daughter got to go for her friend’s birthday last year, but the rest of us haven’t been. 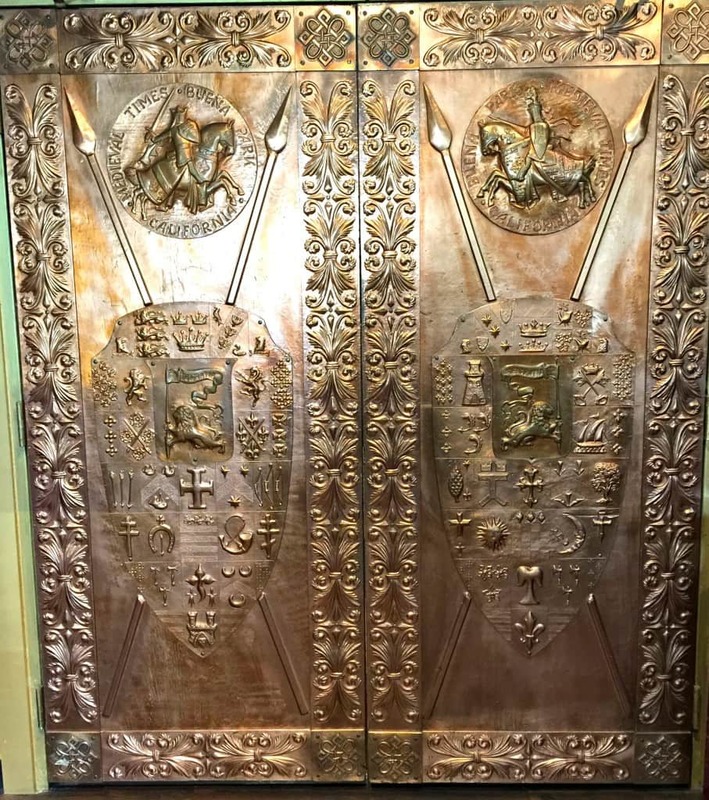 We need to check it out! We had a party of twelve I was a little disappointed that our maiden did not serve with any refills we had to ask more than three times to have a refill. Our black and white knight did not seem to be in the mood and was not interacting with his court it was kinda disappointing. 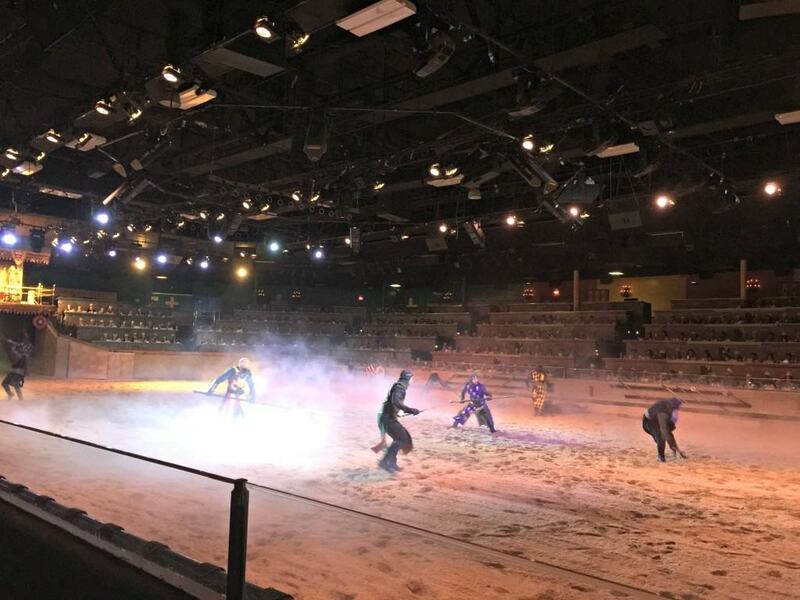 Other than that the food was enjoyable and the show itself was entertaining also the horses were absolutely breath taking. 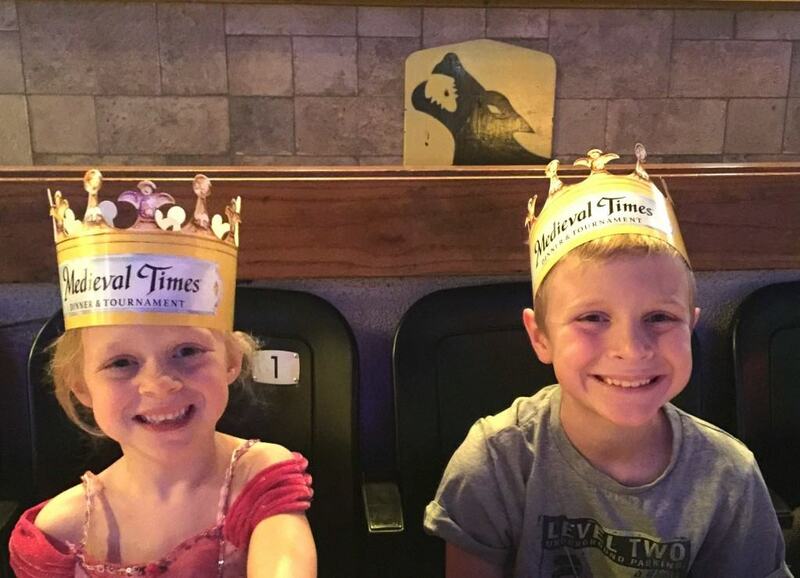 This was our second time at medieval times first time FANTASTIC second time nice so a BIG suggestion knights interaction with your court makes a big difference.